I wrapped up 2013 with a robotics hackathon which was incredibly exciting and I am starting the year with an art hackathon, the Gen Art Hackathon! I am really excited to be helping organize and support this next hackathon which is the brain child of my friend Xavier Snelgrove. 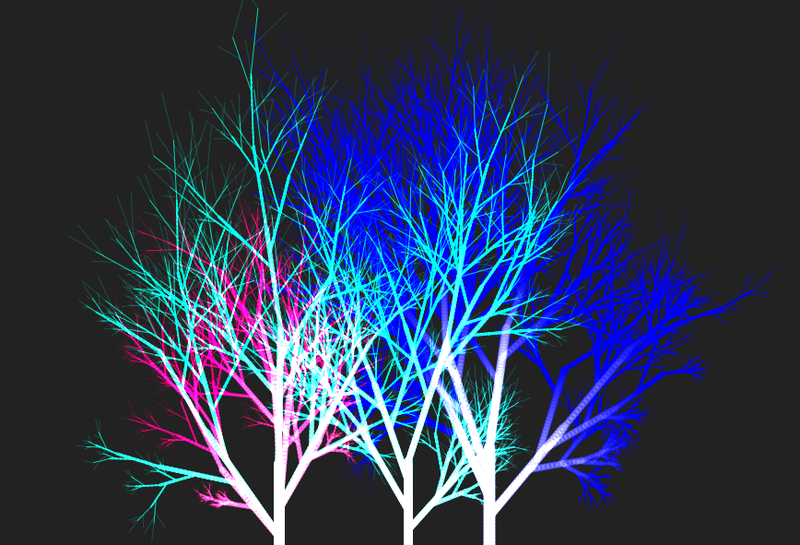 What is the Gen Art Hack: for starters, Gen Art or Generative Art (thanks Wikipedia!) refers to art that in whole or in part has been created with the use of an autonomous system. In this case a computer. Instead of using brush strokes we will be using algorithms to create masterpieces to share with the world. The hackathon will be bringing together programmers interested in visual design and arts to play with new dynamic web technologies to create art. It will be a fast-paced lively environment where everyone is encouraged to have fun, collaborate and create. And this little hackathon is already sold out! We have a waiting list if you are interested in being added to the wait list. Our plan is very simple: the hackathon is a single day hackathon but we will get together on Friday to meet each other, learn what we don’t know in a series of workshops and figure out what we will be building on Saturday. We’ll run workshops on Friday, introducing you to the APIs (Canvas, WebGL, etc.) if you haven’t used them yet. You will be expected to have at least some basic programming knowledge. The next morning, the hackathon starts: we provide food and drink, fueling you while you create. The Gen Art Hackathon is taking place in the TinEye HQ in Toronto. Friday February 15th and Saturday February 16th. Workshops start at 7 PM on Friday, February 15th. These will be a great place to meet your fellow hackers and artists, and brush up on your coding skills. The next morning, Saturday, February 16th at 10 AM, the hackathon begins. We hack all day, have dinner, and then at 7 PM have a public art opening, and you can show off your works. What you can do ahead of the hackathon? Another great resource has been put together by Mikael Hvidtfeldt Christensen, a physicist with a passion for computational chemistry, generative art, and complex systems in general. We can’t wait to see you on February 15th!